We highly appreciate their contributions to the Community through the activities and events they will present at Abilities Expo Los Angeles. We encourage attendees to visit their websites and connect with these organizations for ongoing involvement in their areas of expertise. Perhaps you used to run. Perhaps you have never ran. Either way, Ainsley's Angels of America aims to ensure that everyone can experience the joy of going for a run. In addition to ensuring everyone can experience endurance events, Ainsley's Angels of America aims to build awareness about America's special needs community through inclusion in all aspects of life. Serving as advocates to providing education and participating as active members in local communities, we believe everyone deserves to be included. Stop by our booth to experience this today and together, let's counter the claim that it is impossible and remove "can't" from the equation! Deal? Can you envision it now? The positive energy, the other athletes smiling from ear to ear, the togetherness of every member preparing to 'roll with the wind', the normalcy of the family, and the love everyone shares ... it is a therapy like no other! Oh, and the impact reaches the entire family, as many have discovered first-hand the therapeutic effects of these races. Margarita Elizondo, AKA Maggie, is a motivational speaker, entrepreneur, founder of Rolling With Me, model, dancer, and writer. She was paralyzed in 2006 when an intruder broke into her home at shot her. She is a C-6/7 quadriplegic. She discovered dance as a form of physical and emotional therapy which has brought her regain range of motion in upper extremities and learn emotional expression through movement. She was a danced before her injury and discovered wheelchair dance after her injury through San Diego Wheelchair Dancers Organization. In 2016 she learned lyrical dance through choreographer Tam Warner. Margarita now travels the country as an Abilities Expo Ambassador sharing her live for dance. Margarita holds the title of Ms. Wheelchair California 2013. 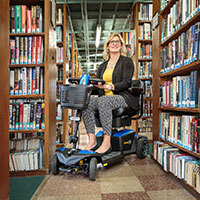 Her writing has been published in various publications including Abilities Expo The Buzz, Wheel:Life.org, and Mobile Women. She is Disability Marketing Consultant for several organizations specializing in Social Media Marketing. For fun Margarita enjoys spending time in church and with her three children and three granddaughters. 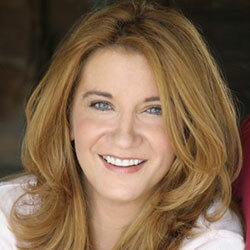 Peggy Lane is the Creator, Director and Producer of the EMMY submitted Donna On The Go. It is a show she is immensely proud of and developed for her friend Donna Russo. Donna is an Actress / Dancer who requires a walker or wheelchair and still dances. This inspired Peggy to create a show around the everyday challenges and victories she faces. 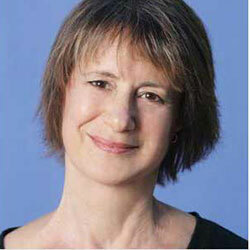 Peggy is an Actress and Singer/Musician who began her career at the age of 5 doing theatre and commercials in Chicago. She was a member of Second City and moved out to Los Angeles to pursue a recording contract with her band. She has appeared in many Primetime TV shows including Will & Grace, The Middle, Ellen, and recurring roles on King of Queens and Seinfeld as a coffee shop waitress. She also works as an Acting and Dialogue Coach for many Award winning actors, including Margo Martindale, Richard Dreyfuss and Molly Shannon. She has Produced films that have screened at Cannes and qualified for an Academy Award. Peggy is a member of The Television Academy: ATAS, Women In Film, SAG-AFTRA and AEA. Donna Russo is the star of the series Donna On The Go. It is a show about her challenges and victories. It was submitted for an EMMY. Donna was born with Turner Syndrome and now has adult onset FSH Muscular Dystrophy, a condition that robs your muscles of movement slowly. She is 4' 5" tall, many women with Turner are of small stature. Donna started dancing at age 10 taking ballet and tap later including jazz, modern and acting classes. A graduate of Mercyhurst University with a BA in Dance she toured as Alvin in Alvin and the Chipmunks and the Magic Camera, performed in Lord of the Rings, Passions, Power Rangers and in multiple roles as characters in television and film. Though she had her heart set on joining a ballet company, she found that, for many companies, she was considered short. Determined to dance, she did find a place in the dance world performing as elves, aliens, dolls and monsters in television, film and music videos. 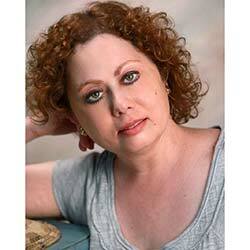 Donna is also a Delegate for the Actors Union SAG-AFTRA and currently serves on two committees. As part of the community, Donna believes in supporting the arts and became active in The Entertainment Industry Group Los Angeles Kiwanis Club. The Kiwanis Club brings arts and culture to school children and exposes the children to performances in local theaters and music centers. Donna can also be seen on You Tube in the video choreographed by Tam Warner, "I Won't Give Up." To date it has over 60,000 views. 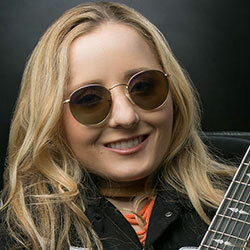 "It is very exciting and an honor to be an Ambassador for the Abilities Expo where I have had the pleasure of performing "I Won't Give Up" live," said Donna. "I'm thrilled to have Donna On The Go at the Expo this year !" Angel City Sports began in June 2013 when Clayton and Ezra Frech were on the track at the Endeavor Games in Oklahoma City and asked the question, "Why do we need to come to tornado alley to run, jump, and throw things? 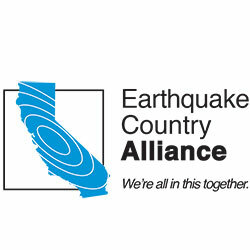 Why aren't there more programs in Southern California?" This began our journey to create the Angel City Games, Southern California's own multi-sport Paralympic style competition and celebration of Adaptive Sports. In October 2014, we found a facility and programming partner in UCLA Recreation and set about to create a one-of-a-kind competition and event experience for youth and adults with physical disabilities. The first Angel City Games in June 2015 were tremendously successful, with 150 athletes participating in Track & Field and Wheelchair Basketball clinics and competition. Over 1,300 attendees came through over the 2 day event; Hollywood stars Adam Sandler and Christian Bale and several pro athletes were on-hand to cheer the athletes and participate in our Celebrity Wheelchair Basketball Game; and our media partners at Fox Sports AM 570 - LA's largest sports radio station - broadcast live from the track at UCLA's Drake Stadium during the event. The first Angel City Games exceeded all of our expectations and were a huge hit with families, volunteers, sponsors, partners, and most importantly with the athletes, many of whom participated in Adaptive Sports for the first time. 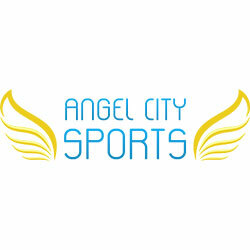 Upon wrapping up the 2015 Games and recognizing the tremendous barriers that exist for this community to become active and participate in sports, we expanded our vision and pivoted our brand to Angel City Sports. We hope to address the myriad of challenges that exist - lack of events, programs, training, and coaches, transportation and access, the high cost of equipment, and the expansive geography of Southern California - and spark the Paralympic and Adaptive Sports movement in our community. Today we're offering a year-round schedule of introductory adaptive sport clinics, giving athletes opportunities to participate, learn and train in a variety of sports. We've expanded the Angel City Games from two to four days, adding new sport clinics and competitions including Archery, Swimming, Wheelchair Tennis, Track & Field, and Wheelchair Basketball. We're building an inventory of Adaptive Sports equipment to be loaned or rented to other programs and individuals who want to get into the game. As more participants join us throughout the year at clinics and events we look forward to learning about their goals and aspirations to participate in Adaptive Sports. 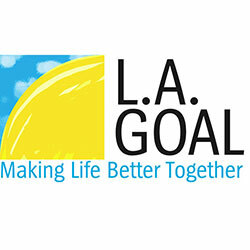 L.A. Goal is a non-profit agency that provides Inside Out Productions, that teaches visual arts: drawing, painting, ceramics, sewing, quilting, weaving, embroidery, photography, woodblock prints and multi-media. Through ongoing art exhibitions, Inside Out Production artists are able to share with the world the talents of people with developmental disabilities. The act of creating something beautiful that the outside world can connect with becomes an effective tool for fostering communication, acceptance and inclusion. Ability Tools, formerly the AT Network, is California's Assistive Technology Act Program. Ability Tools, formerly the AT Network, is California's Assistive Technology Act Program. 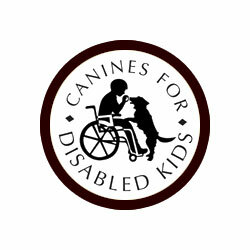 They provide a variety of services for Californians with disabilities of all ages. Their services include: AT Exchange marketplace, device lending libraries, financial loan program for AT, information and referral, and reuse program in affiliation with organizational partners. In addition, we provide in-person and webinar trainings, technical assistance to organizations on AT issues and coordinate the California Assistive Technology Reuse Coalition. 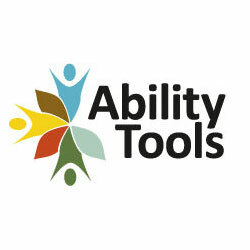 Ability Tools offers a FREE membership to anyone interested in learning more about AT and looking to connect with other like-minded individuals via the Ability Tools listserv. Ability Tools is made possible through funding from the Department of Rehabilitation, financed by the U.S. Department of Education, Rehabilitation Services Administration with funds allocated by the Assistive Technology Act of 2004. Gema Rodríguez, founder and director of Dance Ability Tijuana, a program that aims to provide people with disabilities with emotional and physical improvement through dance, found her passion in an unexpected way after a dance injury to her hip that left her bedridden for months. While living in New York, she met disabled dancers at Juilliard, and this inspired her to explore the Dance Ability program. The 29-year-old now has more than 200 students in Tijuana and San Diego enrolled in her dance studio implementing the, Dance Ability program, which, despite its popularity in several parts of Latin America, is the only study of its kind in Mexico. Dance Ability offers people with and without disabilities the opportunity to express themselves through dance. 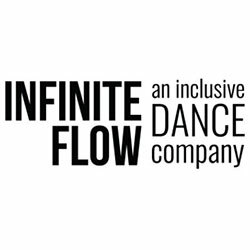 Infinite Flow is a professional inclusive dance company and non-profit org based in Los Angeles, Founded in 2015. They use dance as a vehicle to mainstream inclusion and eliminate the stigma associated with disability. Their vision is a world where the word "inclusion" does not exist, a world where dance is accessible to all, and a world where everyone celebrates each other's differences. Their mission is to build a world class inclusive dance company that leads a global social movement for inclusion and to empower people of all abilities to #BeINFINITE through dance & human connection. At Infinite Flow they believe each person has a dancer inside, and believe there are infinitely different ways to dance. 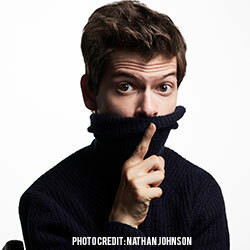 They break barriers socially and artistically, and know that inclusion creates a better future. They believe in each person's infinite potential, and create an environment where each person can thrive and make a difference. Infinite Flow was founded by Marisa Hamamoto, a professional ballroom dancer who was temporarily paralyzed from the neck down with a rare stroke called spinal cord infarction in 2006. The Skate Connection is a Federal Non profit 501(c)(3) committed to providing opportunities for people with and without disabilities to skateboard together and cultivate an integrated community deeply rooted in the love for skateboarding. 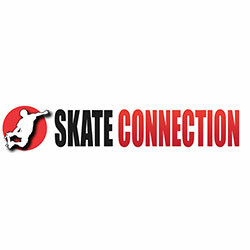 Founded in 2011 by Adam Grijalva, The Skate Connection is a simple, dynamic organization that has sprouted from a small crew of skateboarders to a movement that is reaching communities all across southern California and connecting the hearts of skateboarders worldwide. At The Skate Connection, we don't create skateboarders or make friendships rather we just receive new members into our community and provide an authentic skateboarding experience so they may encounter the transforming love of skateboarding. Tam Warner has had an extensive and successful career as a dancer, choreographer and director. 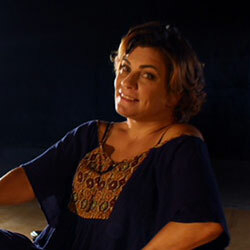 Her credits include a long list of musicals and corporate theater productions, as well as Directing and Choreographing the opening and closing ceremonies for "The Special Olympics" , the opening ceremonies for "Women's World Cup", and the TEA award winning "Legend Of Mythica" as well as the premiers of many Disney film productions. Disney submitted her work on "Pocahontas" for an Emmy. Tam has not allowed her health or disabilities to slow her down and continues to follow her love for dance. She lives with her husband Mark in "The Valley" has a grown son, two cats and a part time dog. Painters from "We Adorn You" have been face painting for Abilities Expo shows since 2009! They are based out of Los Angeles and New York City and have been in operation since 2007. 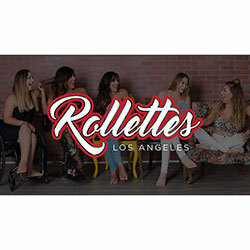 Their experienced California-based artists will travel to your home or event site, whether in Los Angeles or somewhere throughout Southern California. Each event is unique and they can tailor to any theme, style or idea; children and/or adult birthday parties, bar/bat mitzvahs, company picnics, photo shoots, trade shows and many more!